A couple of years ago, it was really tricky to record the audio that was currently being played in your speakers thanks to the sound card of your computer using C#. Fortunately with the matter of time, an useful API was introduced to Windows Vista. The Windows Audio Session API (WASAPI) is Microsoft's most modern method for talking with audio devices. It is available in Windows Vista, Windows 7, and later versions of Windows. It allows delivering an unmodified bitstream to a sound device, and provides benefits similar to those provided by ASIO drivers. 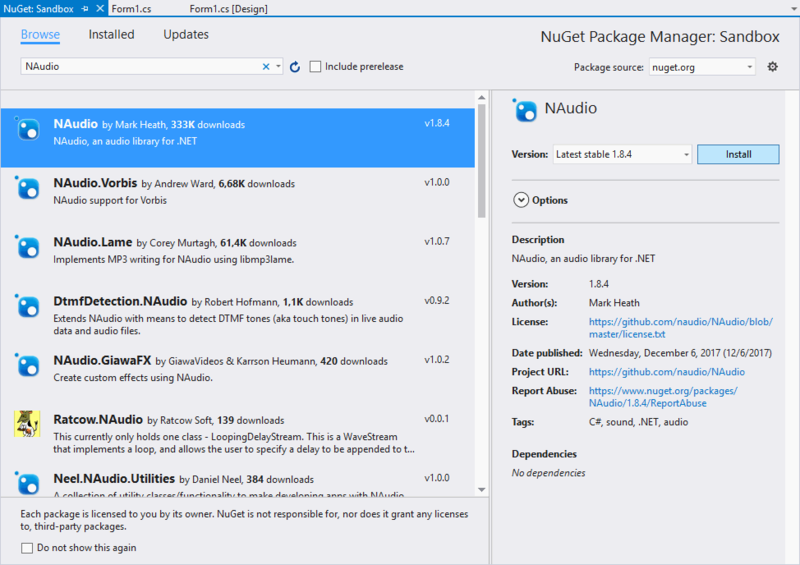 NAudio offers a really useful wrapper around this API that allows you to record the audio from your soundcard easily with C#. In this article, we'll show you how to record the audio that's coming from your sound card using NAudio with C# in WinForms. 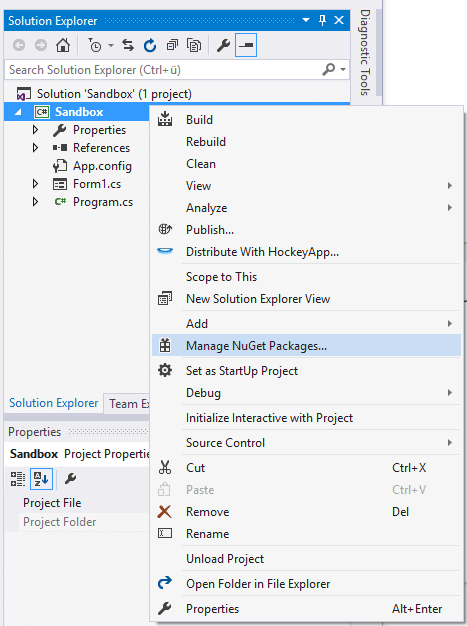 If you already have NAudio installed, then you can proceed with the next step. 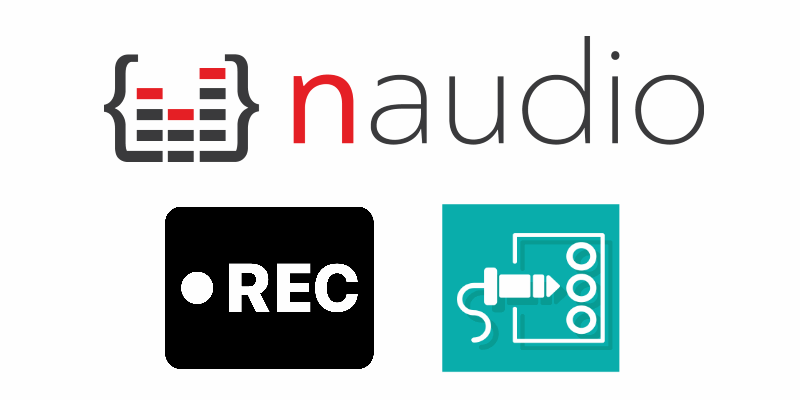 Thanks to NAudio, most of the hard logic behind the complex process of recording the audio coming out from your speakers (sound card) has been fortunately abstracted and written in a way that almost every developer can understand and use. The WasapiLoopbackCapture is the class from NAudio that you will use to record it, this class is a very well writen wrapper of the WASAPI (Windows Audio Session API) that can be used together with some file writer classes of NAudio to record easily the audio from the default sound source of your system. The logic that you will need to handle to record the audio is minimal, initially, you need to create an instance of the WaveFileWriter and the WasapiLoopBackCapture classes.l The WaveFileWriter expects as first argument the path where the wav file should be written (the one with the recorded audio from the speakers/sound card) and as second argument the WaveFormat property of the capturer instance. Doing this, you're ready to write the sound coming from the sound card, however it isn't done automatically as you need to attach a listener to the capturer instance, namely the DataAvailable. This event is triggered when the some audio is received, in this callback you need to use the audio writer, providing as first argument of the write method, the buffer and the offest of the recorded bytes and the recorded bytes itself. You need as well dispose the audio writer once the capturer stops so the file can be accessible. Finally, you can simply start the recorder using the StartRecording method. // Start audio recording ! 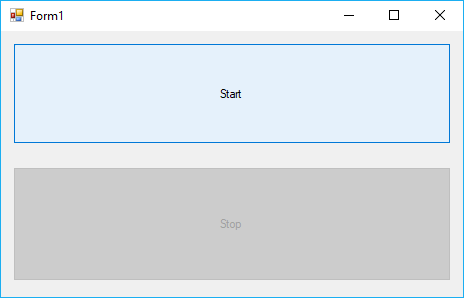 The buffer writing in the desired file will stop, producing a wav file with the audio produced from your system during the execution of the process. Obviously, don't forget to play some audio while you test or you will hear nothing ! The logic that we'll implement is very simple, yet functional. When the user clicks on start, the audio of the system will be recorded and when the user clicks on stop, the recorder stops and finishes the writing buffer of our desired output Audio file. The instances of WaveFileWriter and the WasapiLoopbackCapture are meant to be accesible at class level, so our start and stop button have access to them, they're because of this behaviour originally set to null. // Enable "Stop button" and disable "Start Button"
// Enable "Start button" and disable "Stop Button"